It was a sunny day that day. I take a peek in the pool from the bay window inside the house. I saw something swimming. I thought it was a mouse. It is way too big for a mouse. 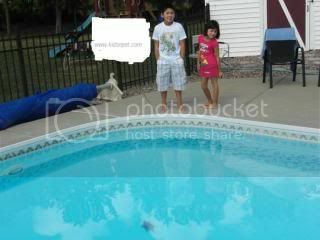 I cannot believe that I see a turtle swimming in the pool. I know it is a snapping turtle because we see babies snapping turtle last year. I freak out as I am so scared on what to do. I called my husband who was at work that time. He advises to keep an eye on the turtle. 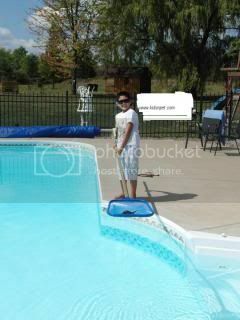 I have to make sure that the snapping turtle will not come out from the pool. I told my kids about the turtle. They were not afraid especially my son. I found a white bucket and fill-up a little water. My son gets the skimmer. He catches the snapping turtle. I put the snapping turtle inside the white bucket until my husband is still at work. 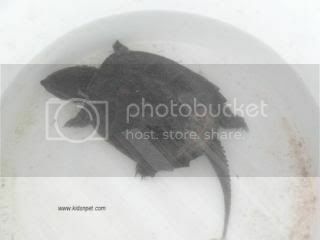 Have you seen a snapping turtle before? Are you afraid of a turtle? I am linking this entry to 366 Blog photo Challenge and Camera Critters. 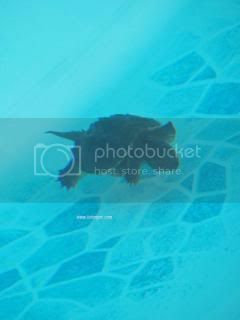 This entry was posted in accessories, turtle and tagged 366 Blog Photo Challenge, Camera Critters, skimmer, snapping turtle, work. Bookmark the permalink.